Inflammation is a good thing! Immune cells in the area send alert signals called cytokines and they bring healing to the area in need. Cytokines cause healing and also cause pain. When it goes on daily, weekly, chronically is when our body gets out of balance. In general, if our inflammation is high, any pain, strain, arthritis, or soreness will be felt more and can last longer than if we are in a healthier, lower inflammation state. We cannot exist without any inflammation as it’s needed to send signals for healing. The problems arise when we are chronically inflamed. Here is some food for thought on the subject. Deeper underlying causes to joint inflammation – do these apply to you? Food intolerances such as dairy, gluten, soy, and nightshades. Most of us have one or more foods that just don’t agree with us. These cause inflammation that builds over time. What can I do now to keep my body’s inflammation in balance? A diet rich with fresh whole foods is best. Packaged processed foods tend to contain chemicals, bad fats, preservatives and sugars which can inflame the body. The top veggie choices are dark leafy greens and tomatoes. Protein sources from vegetables are great as well as nuts such as walnuts and almonds. Red meat is best grass-fed as the omega 3 content is 2 to 5 times higher than grain fed meats. Fish is full of omega 3 as well, which keeps inflammation in balance. Fish such as wild caught salmon, trout, bass, catfish, and sardines are recommended. Anti-inflammatory fruits are the berries, best organic, strawberries, blueberries and cherries. Overall, shopping at farmer’s market provides the highest nutrient content in foods. Plates full of healthy homemade foods will keep your joints happy now and in the long run. We would like to think our diet gives us every nutrient we need. Research shows however nutrient content has dropped significantly over the years. Supplementing is needed especially when it comes to lowering inflammation! The best overall nutrients are a high quality fish oil and a specific type of curcumin. Fish oil must be high quality so that it has a high EPA to DHA ratio. Per serving, and EPA of roughly 900mg and EPA 400mg is best. It takes the body one step to convert EPA to an anti-inflammatory power punch for the body. Consistent use at this dose has shown in multiple studies to reduce pain and inflammation. 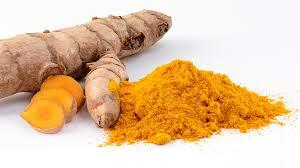 Curcumin is the second wonder nutrient we can take daily to reduce pain and inflammation. Studies show it even more effective than NSAIDS such as ibuprofen, celebrex and diclofenac. The trick is to take the kind of curcumin that is either mixed with black pepper extract (piperine) or phosphatidylcholine. Curcumin blocks inflammation is several ways and boosts the immune system as well. Our lives are full of excitement, aren’t they? There are a never ending myriad of events and situations we get to experience in life and how we handle them is key to how much inflammation is in our bodies. I’m not talking about acute stress like handling a stubbed toe, or a call from a teacher about your child. I’m talking about chronic stress, day in day out. The body’s natural function is disturbed greatly by chronic stress. The connection between chronic stress and disease is well established. Cardiovascular disease, diabetes, cancer all are on the list. So what can we do about this? First is to become aware. Perhaps your muscles are tight, you are not sleeping well, or you feel anxious often. Once you are aware, then you can make changes needed little by little. A wise man taught me that there are no problems in life only opportunities and adventures. Is it possible to look at life differently? What are some healthy habits we can enjoy that can help? Massage is of course a wonderful opportunity to let go and allow the body to release stress. Gratitude journaling before bed or first thing in the morning may provide energy for re-focusing ourselves. Breath work such as taking five to ten minutes per day to be aware of your breath. One technique is to breath out and hold as long as you can, then when the body needs, allow the breath to come in. This helps you align more with allowing life versus fighting life which over time can dramatically reduce your body’s stress. Awareness and attention to three keys to reducing inflammation – diet, nutrients and stress reduction – will help you turn a new page in the book of health! Enjoy! Questions? Give me a call, I’d be happy to help.